Playing the right ball could make all the difference! Have you given any thought to playing golf in winter and how to maintain control of the ball when the courses become firmer and faster? Because the course changes its characteristics so much it is very important to consider what ball you are using. Playing with a softer ball may help you gain more control around the greens when the greens become hard and fast. Get expert advice in the shop on how to choose the right ball. Bounce? – What is bounce? In winter, the ground becomes firm and as a result, the club will have a higher tendency to bounce off the surface rather than dig in. 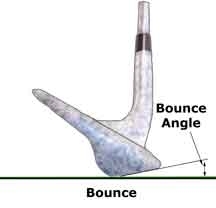 Making sure that you have the right bounce angle on your wedges can save you multiple shots during a round. Click here if you would like to book a fitting and find out make the most of the bounce on your wedges! This could be yours! Win a Raffle! On the theme of winter and bounce angles, for the month of June we will raffle a set of Cleveland wedges (52, 56 & 60 degree) custom fitted to the winner, to the Value of R4, 800! Tickets are R100 and the winner will be announced at the end of June. Cleveland Demo Day this Friday! Cleveland will also be joining forces with us on Friday from 2PM for a demo and fitting day. They bring along the latest in wedge fitting technology that allows you to custom fit your wedges for the correct bounce angles! This is a day not to be missed. Come down for a full fitting or just to test the new Srixon/Cleveland products. Book a fitting here. We are in the process of updating our fitting carts. This will allow us to fit you with the right club in just about any brand. As a result, we will unfortunately not allow any clubs to be tested on the course. I’m sure you understand. We are working towards providing 5 star experience for every customer. We would appreciate if you took a few minutes to give us your feedback by leaving a brief comment on how you feel we can make our shop a better experience. Click here to make contact and leave a comment with us. 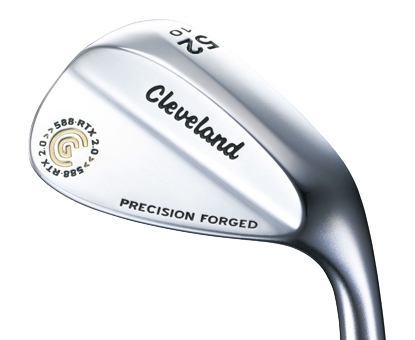 Save up to R1 800 on Cleveland Golf Wedges this winter! 65% of all shots are within 125 metres. So you should see the clubs you use within this red zone as a “set” within your set. They need to be perfectly chosen, perfectly fitted and set up to your game and our conditions. For the month of July, Cleveland Golf is giving you the opportunity to improve your short game for less. 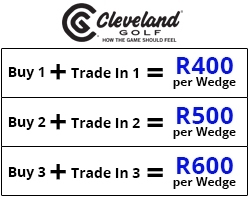 Trade in your current Wedges for Cleveland Golf 588 RTX 2.0 Wedges and you could get up to R1 800 back. We certainly have felt the chill factor in the mornings. So to make sure you don’t go cold we will continue to run with our jersey special. Buy 2 jerseys and get the third jersey on us! Ladies, this applies to you too! Don’t forget to check out our range of beanies and mittens. The Open Championship is fast approaching and in the spirit of British weather we have another awesome special for you… Buy any winter wear item and receive a sleeve of golf balls to the value of R100 absolutely free! They called it GOLF because all the other 4-letter words were taken.